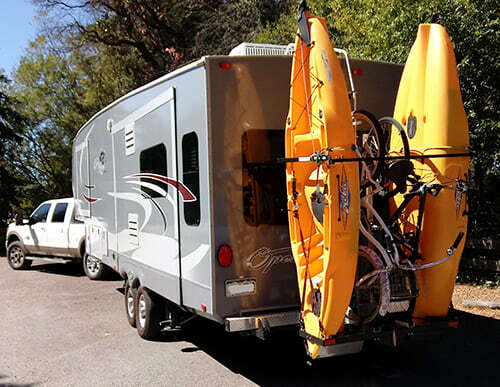 Fifth Wheel Kayak & Bike Racks. 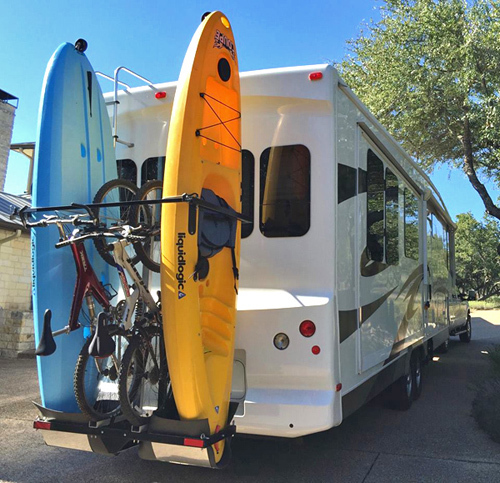 As a Fifth Wheel RV owner you have probably found that when it comes to trying to find a solution to carrying all of the toys, there are not many options available. 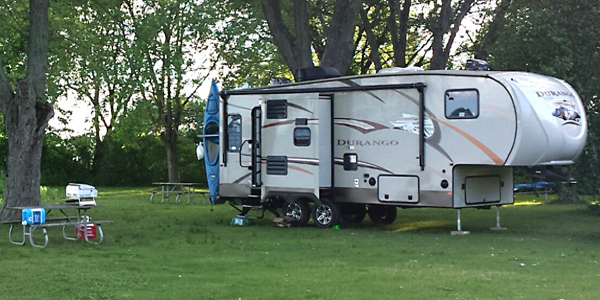 Lakes and waterways are a part of the outdoor adventures that Fifth Wheel owners want to be able to enjoy. 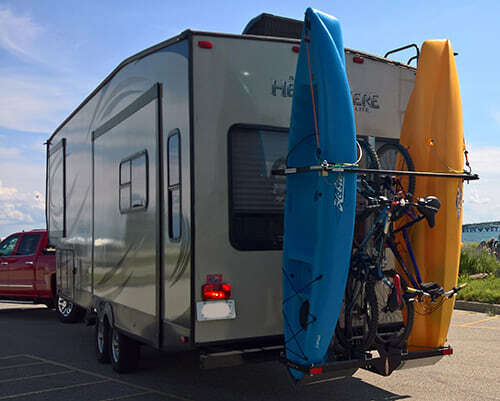 But being able to transport such bulky items as kayaks or even surfboards provides a challenge and when you include bikes then it really becomes a problem.